The Tour de France promotes a healthy lifestyle. And the consumption of large amounts of meat in good pastry. Yorkshire is going to host the opening stages of the 2014 Tour de France. And is celebrating in the only way it knows. By building a giant "Eat Pies" sign. A Hollywood-style sign welcoming le Tour has stood on a hillside near Oxenhope, West Yorkshire since last year. 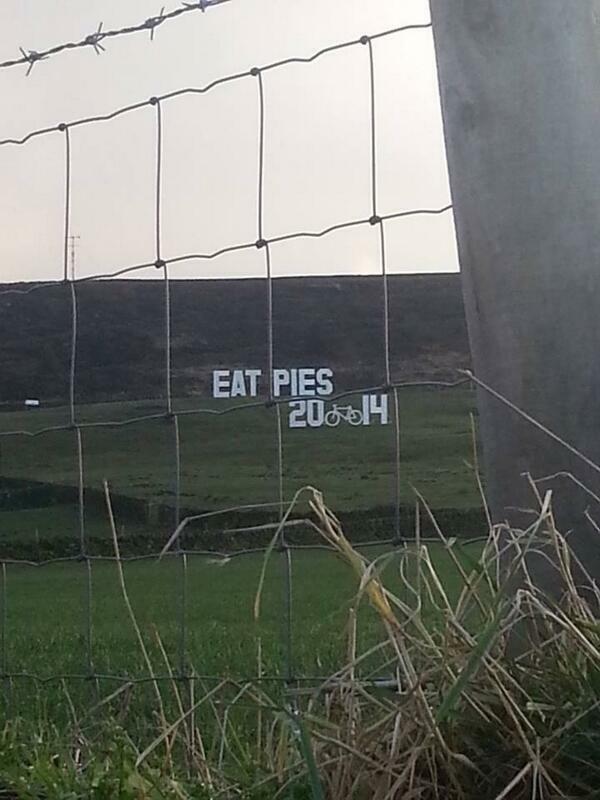 But the Yorkshire-friendly "Eat Pies" element is new and has baffled some local residents. Why is there a massive "EAT PIES" sign next to the Tour De France one opposite my house?